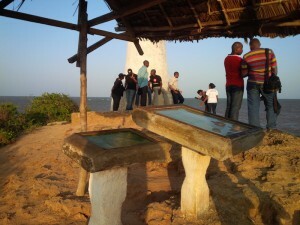 The #TembeaKenya Maina Kageni Road Trip Tour visit to Malindi and Watamu was scheduled to have many interesting things to do over the three-day weekend between Friday and Sunday. 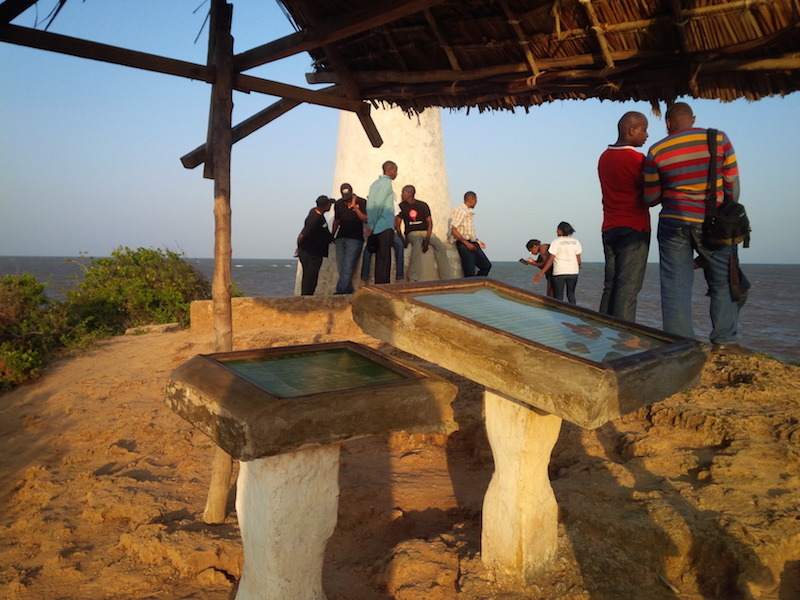 On Friday evening, after a late lunch in Malindi town, there was a visit to the Vasco da Gama Pillar as well as one to Swahili House which showed a lot of history of the people of the coast, and the infrastructure and development of Malindi. 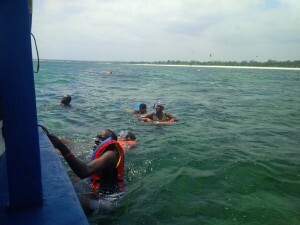 Saturday had a full day of activities available to try around Watamu beach, from the Ocean Sports Resort point. This is one of the hotels that faces the Watamu Marine Park in which tourists can get to try snorkeling, deep-sea diving, Jet-skiing, kite surfing, beach volleyball & rugby among others. The park is supervised by Kenya Wildlife Services (KWS) who have rules that bar fishing, and forbid tourists from stepping on, or removing, coral pieces, as they dive to see the hundreds of species or fish or coral in the shallow water. On trips like this, hotels and other tourism operators expect that conference travellers (will) spend more than leisure travellers as often their expenses are paid for by the organisations they represent, leaving the tourists with substantial disposable incomes that they can spend. 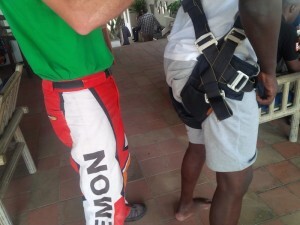 One highlight was skydiving, and fellow-blogger Biko Zulu, went for his first ever skydive, along with a few other brave members of the group. See his post on what it feels like to jump from a tiny plane that’s 10,000 feet above the beach, just a few minutes after a brief talk on parachute safety, figuring our how much you weigh and signing an indemnity form. After a late lunch on Saturday, we went for a sunset dhow sail at Mida Creek, which was a few kilometers away. There wasn’t much to do on Sunday, but watch as Kenya’s Tourism Cabinet Secretary Najib Balala also did a skydive down to Watamu Beach. He later went and released a turtle back into the ocean that had been caught in a fisherman’s net then rehabilitated – see more pics. We were all staying at Turtle Bay Kenya, a wonderful resort that’s popular as it’s very well-oriented to family relaxation with a dedicated free club for kids with all-day activities for them. It’s an all-inclusive resort (meals & drinks are included in the prices) and get’s a lot of business by word of mouth, and indeed, they reward repeat visitors and people who recommend the resort to new visitors, with even more discounts. 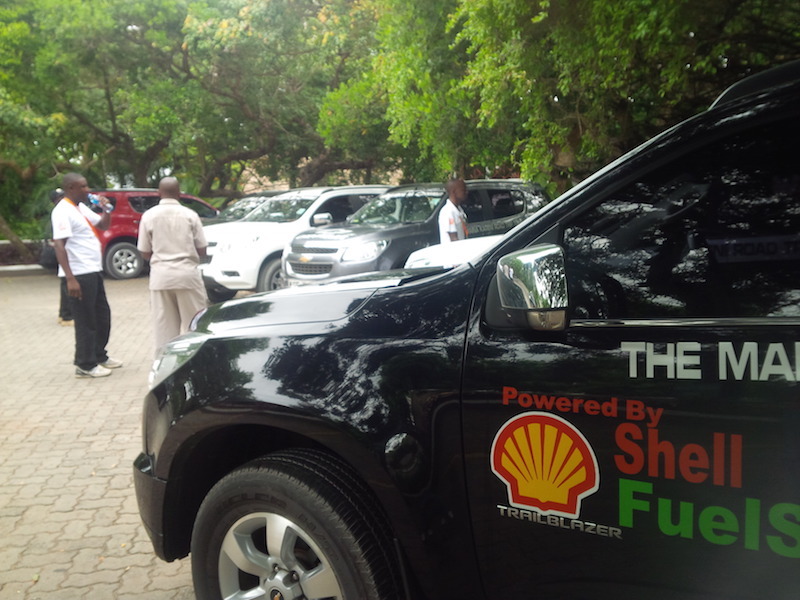 We got around to different venues using the Chevrolet Trailblazers which were also available for test drives by potential buyers at the hotels in the daytime. 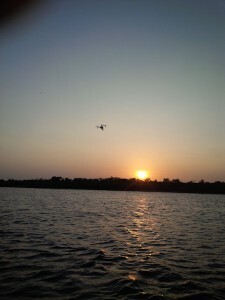 Things like sky diving and the sunset dhow sail were new activities from the last time I was in Watamu. It helped that we had an interesting group of people around, and had discussions on different things like the state of the media, road conditions for tourists who try and drive around the country , the recent KDF soldier deaths in Somalia, and how best to revive domestic tourism in Kenya. Other sights we did not get around to, but should see the next time, include Hell’s Kitchen, Mambrui Town, Juma mosque & Pillar tombs, Portugese museum, the Cobra village paddle, and go boating in search of dolphins in Watamu park. Meanwhile, the Maina Kageni Road Trip Tour will continue on during Valentine’s Day weekend and visit more local tourist attractions in another county, somewhere in Kenya. Earlier, along the highway, the Trailblazers attracted a lot of curiosity and different people from truck drivers to policeman would all come up and ask to say hello to Maina Kageni. This entry was posted in Chevrolet, Kenya domestic tourist, Kenya motoring, Malindi on January 22, 2016 by bankelele. 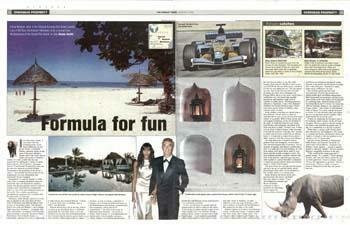 WC to Malindi: Newly crowned F1 champion Fernando Alonso and his Renault team will return visit to Kenya in December. This has become an annual event that involves team building and physical training at the Malindi estate of the team principal Flavio Briatore. TV debate: The Media Owners Association has convened a debate on the proposed draft constitution which will be broadcast on most of the major television and radio stations on Tuesday, October 18, at 7:30 PM. Members of the Cabinet from both fruit camps will answer questions sent ahead by members of the public via e-mail. In the countdown to the 2002 general elections attempts were made to have a televised debate featuring the presidential candidates, but which didn’t take place since the big two candidates, Uhuru Kenyatta and Mwai Kibaki, never committed. Good week for investors: Last week saw the completion of a successful rights issue by Uchumi, confirmation of the Kengen IPO for 2006, and partial privatization of the management of the Kenya & Uganda railways by a South African firm after an extensive bidding process. Meanwhile, right issues have emerged as the preferred investment vehicle for privatizing state companies as they enable firms to raise new capital, gain new shareholding & management and reduce government ownership – since the government opts not to take up its allocated rights – this happened at KCB, Uchumi, and next at KPLC. Paint obsession: The Nairobi City Council wants the City to look good but only in terms of appearance. They have issued a notice to building owners who don’t paint their dilapidated buildings – which the council considers to be a nuisance – or they will be fined 1,500 shillings per day and charged in court under the publish health act. There are so many old buildings crumbling on the inside and with cracked sidewalks on the outside, that paint is the least of their problems. The Council has also taken to painting road markings, while not really bothering with potholes or pavements. Debt Relief: The Kenya Planters Coffee Union (KPCU) has again extended its debt moratorium window, this time by 3 months to December 31. This is a waiver on all interest above 18% on coffee farmers debts accrued between 1992 and 2001. Enquiries can be made to the firms’ lawyers. This entry was posted in Kenya coffee, Malindi, Media in Kenya, Nairobi City Council, NSE investor awareness, Uchumi on October 17, 2005 by bankelele.